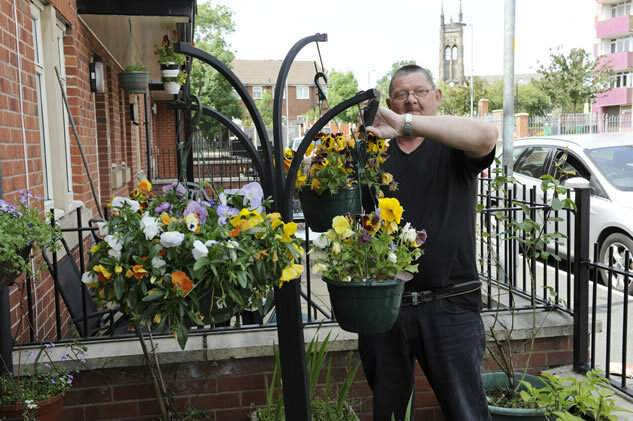 Ashton Pioneer Homes is fully committed to the Tameside Supporting People Strategy. We work in partnership with a number of agencies that provide additional support to vulnerable tenants. We work in partnership with the local authority to provide a mobile warden and social alarm service to any vulnerable residents. Tenants that are accepted onto the scheme have an internal social alarm system installed into their property which gives 24 hour voice intercom access to the Tameside Community Response Team. Should a tenant get into difficulty, a mobile warden will respond immediately and attend the property. 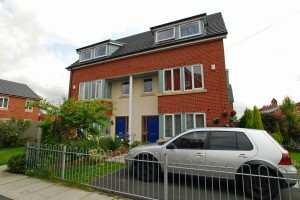 Mobile wardens also carry out regular home visits to tenants receiving the service. Here’s more useful information about the Tameside Community Response Team. At Ashton Pioneer Homes we take anti-social behaviour very seriously. We strive to protect our residents’ and neighbours’ rights to enjoy their homes and community. In simple terms, anything that prevents the quiet enjoyment of your home can be deemed anti-social behaviour, although complainants must be realistic with their complaint. What is the APH approach to ASB? 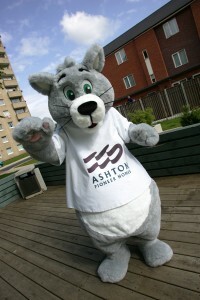 At Ashton Pioneer Homes we will not tolerate any incidence of anti-social behaviour. We will work in partnership with complainants and the local authorities to help identify, manage and resolve anti-social behaviour. We also understand that there must be a balance between enforcement, prevention and rehabilitation. This means that the rights of all vulnerable people will be protected and support offered to complainants, victims and perpetrators. 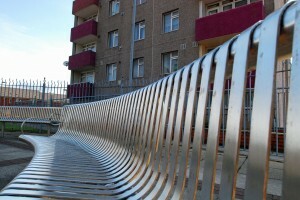 If you experience any kind of anti-social behaviour, please contact our Customer Services Team, or your Housing Officer. If you are a resident you can contact the Neighbourhood Services Team (NST) via your intercom. You can also contact us using our simple online form or you can write to us or use any other method that you find easy and comfortable. If your report is concerning behaviour likely to cause a breach of the peace, or you witness criminal behaviour, please contact the police on 0161 872 5050 or dial 999 in an emergency. We are committed to responding to reported incidents as quickly as possible. Residents reporting incidents will normally receive an immediate and effective response from our Neighbourhood Services Team (NST). A NST report will go directly to your Housing Officer, who will contact you within five working days to acknowledge your reported incident and discuss its resolution. The perpetrator will also be contacted and interviewed. Please be assured that all reports will be treated confidentially, and that your details will never be divulged to the perpetrator. A key factor that helps with all cases of anti-social behaviour is the evidence recorded by complainants. Keeping a diary of nuisance events, for example, will enable us to take appropriate action against disruptive tenants and, if necessary, evict them from their property. What legal remedies are available to deal with anti-social behaviour? We will also work with other agencies such as mediation services to resolve the nuisance amicably and maintain good community relations. Should you want any further information regarding our stance on anti-social behaviour, please contact our Margaret House office for a copy of our ASB Policy. Ashton Pioneer Homes are working together with UK Parking Patrol to enforce parking restrictions within our Residents Only Parking Areas. UK Parking Patrol are members of the British Parking Association and therefore subject to the Associations Code of Professional Conduct. They have been issuing Penalty Notices since September 2005, and patrol at various times of the day and early evening to ensure that those residents who have chosen to rent a space are able to use their allotted bays at all times. Letting Customer Services know if any of the Restrictive Parking Signs are removed or vandalised. ‘Zappers’ are also available for a refundable fee of £30 which will allow access to a specific car park without getting out of your car. What happens if I phone a taxi? Once arrived the taxi driver may call you from the pedestrian gate intercom. You can then meet the taxi outside the gates.OrWhen you’ve called the taxi, you can inform the concierge, supplying the name of the company and the time it is due. The taxi will then be admitted to the estate. Can I be dropped off at the door with my shopping? Yes you can, providing you contact the concierge to grant the car admission. Company vehicles may change frequently, how will this work? If the change is a permanent one, you will need to supply the new details to Customer Services on company letter-headed paper, confirming who the vehicle is registered to, and that you have the right to use it. If you are only going to be driving a different vehicle for a few days, you will still need to inform Customer Services, who will notify all the relevant staff. The vehicle will then be granted access for the number of days specified. What happens if I’m given a courtesy car, whilst mine is being repaired? Again, simply inform Customer Services of the new vehicle details and the number of days you will be using it. You will then be able to use your parking space as usual. Will carers be able to obtain a fob and a car space? If you receive care allowance, and have one specific carer, you will be able to rent a parking space for their use (provided there is space available). If you have numerous people who give you support, and they only need limited access, simply contact the concierge and advise them of the time and duration of your visitor. Provided there is space available, your carer will then be granted access. If there are no spaces, then unfortunately they will have to park outside the gates and gain access on foot via the pedestrian gates.If your carer is just coming to pick you up, providing you let the concierge know, they will be allowed in through the vehicle gates, and if necessary given time to help you down to the vehicle. If there are spaces available on other blocks, can a tenant from a different block obtain a space if their block is full? Yes, they can. However, preference will always be given to those tenants who live in the specific block, and therefore the space may only be available for a limited period. If the gates are inoperable, can they be manually opened and closed or operated from the concierge office? Yes, the gates have a hand crank mechanism that our staff will be able to access. In the event of a fault, the gate will be manually opened until the repair has been carried out (normally be completed with 48hours). Obviously it would not be feasible for a member of staff to open and close the vehicle gate manually every time someone wanted to enter or leave the car park. Please accept our apologies in advance for any inconvenience caused. Any faults will be reported immediately and fixed as a matter of urgency.